Climate "scientists" have a different approach to other fields in that they start with a desired result and tailor research results to fit. 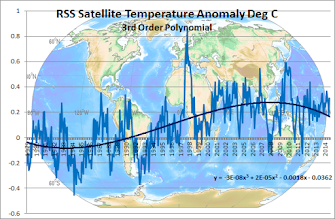 Previous efforts to show Global Warming of the oceans have not been giving the desired results but new research has managed to massage the older ocean measurements to agree with AGW orthodoxy but the new Argot floats are telling a different story. A re-analysis of conflicting ocean-temperature records covering the past 15 years shows that the seas are getting warmer, according to an international team of scientists. The group compared a number of different published records and found that the discrepancies arise mostly from how different scientists corrected for the variable performance of early temperature probes. 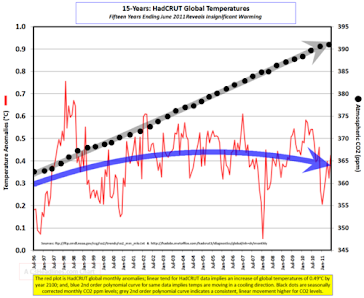 The Argot floats are showing no warming in the last six years and "scientists" think they have to look at how they "interpret" the Argot data as they are not getting the "correct" result according to the AGW manual! dy since about 2004. This is at odds with satellite measurements, which suggest the Earth has continued to heat up over the past six years, leading to questions over where the "missing heat" has gone. Summing up the research , we have a lot of old probe measurements which have been "re-analysed" to show warming but as the new hi-tech Argot floats show no warming and their results may have to be "interpreted". Maybe Michael Mann could analyse half a dozen shell-fish with his magic program and replace the obviously incorrrect Argot results to correct the decline. It is ironic that the huge global warming research budget is producing measurement equipment yielding results supporting skeptical views. The NOAA satellite measuring vegetation detected a substantial increase in world vegetation over ten years due to CO2 increases and warming and no amount of spin can make that a bad thing.The next cab off the rank is Cryosat 2 which will measure ice thickness and if the La Nina and expected global cooling occurs the results may not help the catastrophist's cause either.